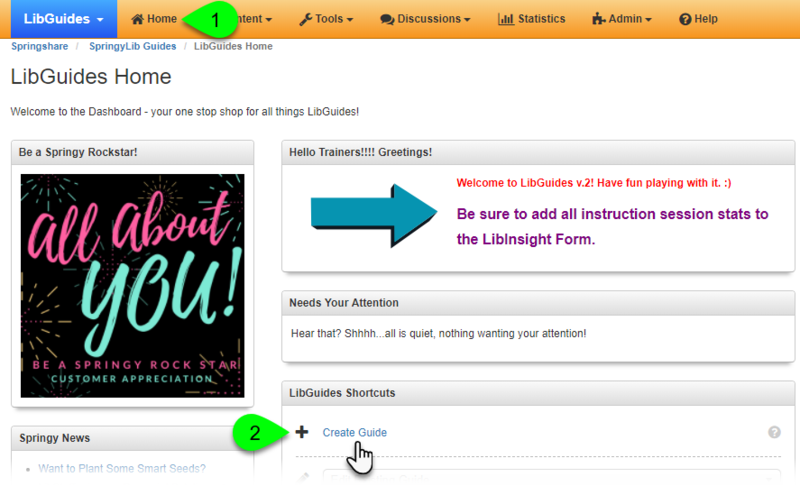 A quick way to create a copy of a guide is via the LibGuides dashboard. If you've logged into LibGuides, then this is usually the first page you see. However, to get there at any time, simply click on Home in the orange command bar. 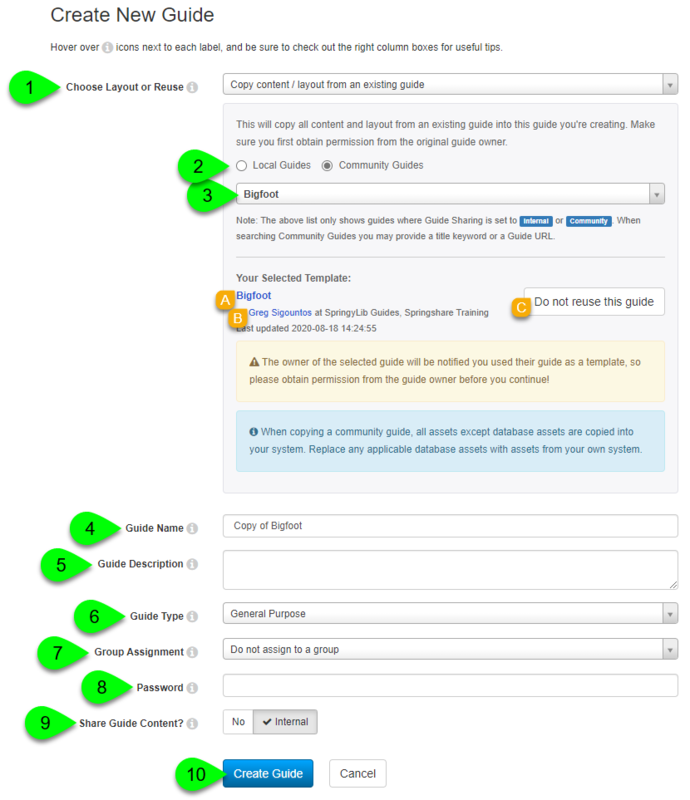 You can also create a copy of a guide via the Content > Guides page. Once there, just click on the Create Guide button. To copy a local guide, select "Copy content/layout from an existing guide" from the Choose Layout or Reuse dropdown. Select the Community Guides option. To preview the guide, click on the guide's title under Your Selected Template. Please obtain permission from the guide's owner before creating a copy. To send an email to the guide's owner, click on their name. This will launch your default email client. Change your mind? No worries -- just click the Do not reuse this guide button to clear your selection. This will create a standalone copy of the original guide. Please keep in mind that this will only copy the content of that guide. This will not include any custom headers, footers, page templates, or system-level Custom JS/CSS code that are applied to the original guide. If the guide contains any guide-level custom JS/CSS code and you have LibGuides CMS, that code will be copied with the guide. Otherwise, if you do not have CMS, it will not be included. 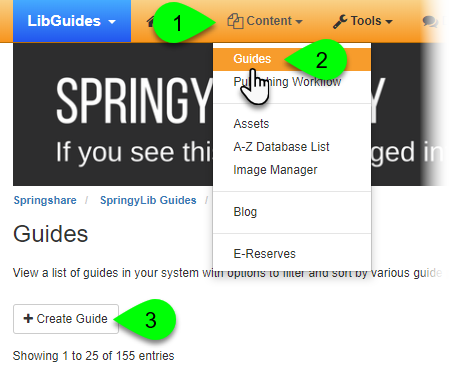 Copies will also be created of all assets on the guide, as well, except for databases. You will need to replace those with databases from your own system's A-Z List. Remember: the owner of the selected guide will be notified you used their guide as a template, so please obtain permission from the guide owner before you copy the guide!